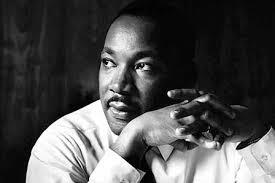 Dr. Martin Luther King, Jr. stands apart in American History as a figure of seminal importance. His contributions to the Civil Rights Movement of the 1950’s and 60’s were virtually unparalleled, his leadership the vision for many Americans, and his tragic murder the cause for great mourning. While most Americans are familiar with some of Dr. King’s civil rights actions, many are equally unfamiliar with his theological convictions that brought him to the point of leadership in that movement. In this article, we examine some of King’s theological and philosophical perspectives as found in Stride Toward Freedom, his account of the Montgomery Bus Boycott, its influences, actions, and the resulting changes. When writing about Dr. King’s works, one must resist the temptation to simply compile a list of quotes on the various topics covered in his writings. Here we will briefly touch on three subject that run throughout Stride Toward Freedom, namely his concerns with the Active Church, Non-Violence, and his interaction with ideals and sources. Through our engagement with these subjects it becomes clear that for King the ideal of human freedom was such that it should be engaged from numerous perspectives. Perhaps the most succinct statement of King’s understanding of the Christian Church in the world comes in his statement that, “Religion operates not only on the vertical plane but also on the horizontal” (36). Throughout the Montgomery Bus Boycott, King refers to the “dual-nature” of his life, as pastor/academic and social leader. For King pastors who only spoke of the Kingdom of God in heaven without seeking to further His kingdom on earth ran little more than religiously inclined social clubs (25). Key to this vision was the belief that Christian love should be love in action (62). For King, Christian Churches should attempt to destroy the ideological roots of hate in their community, to reveal the truth behind a set of circumstances, should institute the principle of Christian brotherhood in their own bodies, and should ultimately take the lead in social reform outside the doors of the Church (205-8). The Church’s role was to preach the gospel of Christ, certainly, but to preach it in a way that actively sought to instill faith, responsibility, and action in the hearts and lives of congregants (211). Emphasizing the Biblical roots of the Church in Action, King wrote that “Men often hate each other because they fear each other; they fear each other because they do not know each other; they do not know each other because they cannot communicate; they cannot communicate because they are separated….” (33), a clear reference to the Apostle Paul’s call for Christians to be engaged in Romans 10.14-15. Clear from his perspectives on the need for an Active Church is King’s understanding that key to the Christian message of love is the importance of freedom. Most well known for his position on nonviolent resistance, throughout Stride Toward Freedom King outlines the critical thinking behind his stance as well as the influence of Mahatma Gandhi. Arguing that true peace consists in the presence of true justice, King wrote that, “He who passively accepts evil is as much involved in it as he who helps to perpetrate it” (51). King’s Christian background, his pastoral heart, and reliance on Christ’s teachings in the Gospels convinced him of the importance of Christian love in response to segregation and racism. His study of the methods of Gandhi, however, provided him with the resources necessary to enact Christian love in Montgomery. In his words, “Christ furnished the spirit and the motivation, while Gandhi furnished the method” (85). King writes that Gandhi convinced him that true pacifism was not total nonresistance to the presence and actions of evil, but of nonviolent resistance to that evil (98). Over the course of several pages, King outlines the essential components to his philosophy of nonviolent resistance. First, he argues that nonviolent resistance cannot be for cowards. Second, nonviolent resistance does not seek to defeat or humiliate an opponent, but instead to win their friendship and understanding. Third, the attacks of nonviolent resistance are carried out against the forces of evil and injustice, not against the persons committing those acts. Fourth, nonviolent resistance must be willing to accept suffering without retaliation. Fifth, nonviolent resistance seeks to avoid physical and spiritual violence. Sixth and finally, nonviolent resistance remains based on the idea that the universe will ultimately decide in favor of justice. Thus building on his foundation of Christian love and freedom, King argued that nonviolent resistance remained the best option for seeking freedom and justice for all. Our final area of consideration remains concerned with King’s interaction with various ideals and sources. Throughout Stride Toward Freedom it becomes readily apparent that King was extremely well read, not only in theology, but also in history, philosophy, and the social sciences. 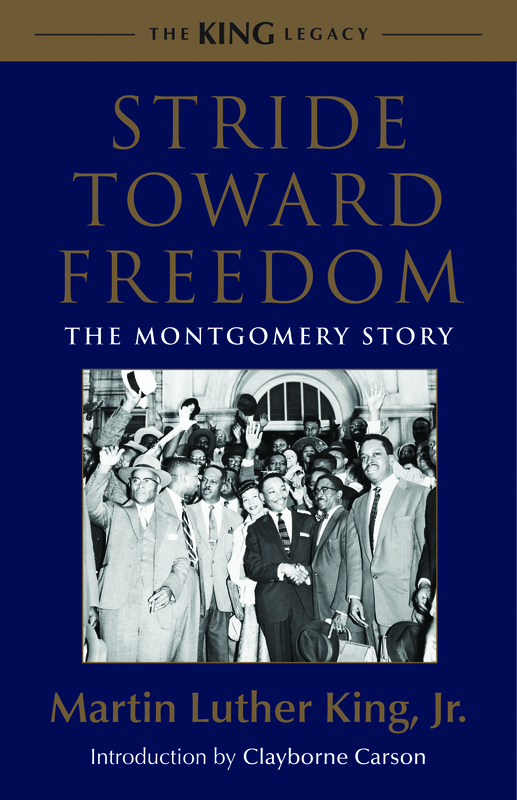 In telling the story of Montgomery, he interacts with a wide range of sources in a manner that is both personal and critically aware. While many are aware of the impact of Gandhi, King also writes that he was influenced by numerous other theologians and philosophers (91). These influences included his interaction with communism, modernism, and contemporary American theology. While rejecting much of Marxist communism, King nonetheless found aspects of communist philosophy influential in his views on economics (93-4), as he wrote that strongly concerning the impact of economics on the other facets of human life (203). He also engaged in a critique of the ‘cult of inevitable progress,’ though he found Walter Rausenbusch’s argument concerning the application of the gospel to the whole realm of human existence powerful (91). In his engagement of contemporary sources, King critiqued Reinhold Niebuhr’s rejection of pacifism (97ff) while going on to formulate his own out of Gandhi’s work. Perhaps most interesting in his engagement of sources are King’s remarks on the overall justice of the universe, where he writes, “Whether we call it an unconscious process, an impersonal Brahman, or a Personal Being of matchless power and infinite love, there is a creative force in this universe that works to bring the disconnected aspects of reality into a harmonious whole” (107). At face value, such a statement appears to take something of a multicultural approach to the overarching subject of world religions. Thus we see that for King, perspectives concerning the development of a worldview, especially those concerned with the ideal of human freedom, were acceptable sources from which to draw considerations.